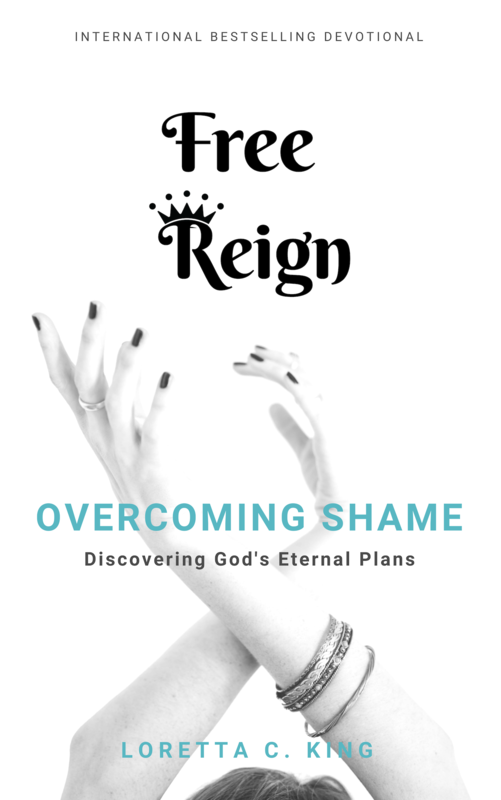 Free Reign : OVERCOME SHAME! What Can Free Reign Do For You? Instinctively know HOW to pray even when you don’t know WHAT to say. Be the Proverbs 31 Woman – as an overflow of identity and not being forced into that role. Soak your soul in the redeeming love of Jesus, immersed in his river of mercy. What if I said that studies have shown that 82% of all sufferers end up TOTALLY HEALED, and a further 10.3% end up FLOURISHING? Provided of course, they take the right steps. What if I told you God has a divine plan that can heal your depression and put you in that blessed circle of joyful warriors – broken free of the chains that once held them? In this crucial video, I’m going to bring you through a step-by-step Christ-centered formula for DRIVING AWAY panic attacks, worries and depressive thoughts to hell where they belong. Once you start internalising these principles, you’ll start flourishing again. With these principles, you have a chance to beat the odds and fly towards your destiny. The surprising roots of depression. Lasting change comes from treating the source rather than the snytom of infection. And its not what you think. A simple prayer to instantly create clarity – even if you’re drowning in a sea of noise. THE GRATITUDE LADDER: Thanking your way to stellar mental health. An effortless exercise for making great strides in your recovery. A simple way to stop the downward spiral. How to get knocked down and get up again – no matter what the enemy throws at you. PLUS: Startling examples of depression in the Bible, and how the heroes of the faith overcome them. No, you’re not alone. A tried-and-true spirit-filled way to help break your way out of guilt, humiliation, and other nasty muck. Perhaps you’re looking for individual counsel? Sometimes, you can’t reach your breakthrough on your own. What’s worse is, even though church, family and society are meant as sanctuary, you may have your own highly personal reasons to hide your shame. Yet, one of the key strategies of overcoming shame, guilt, depression or all this nasty stuff is getting a soundboard. A 2nd person who can help you hold a mirror to your blindspots, as it were. A Single 55-Minute Timeline Therapy Session. A fully customised timeline therapy exercise. You’ll get your milestones revealed in your past that has constrained you, breaking limiting beliefs and triggers in the present. An effective action plan to get you to start a life free of the things that bind you. Only the most affluent people have access to a high-priced therapist, whereas the average person can’t afford one, even though they probably need it equally. Research has shown a 1 percent increase in statewide depression diagnoses was associated with a 26 percent increase in opioid-related deaths. Rates of opioid-related deaths rose substantially in 2014 and 2015, and states with the highest rates of opioid-related deaths often have a shortage of mental health care professionals. This means I want to get help to as many people as possible. As this is actually leveraging my scarce time… I have highly limited slots. Probably around 17 at any given point. If you’re seeing this message, we still have sessions available. Click here to get it now. Hear Abba Father’s voice so intimately, so clearly and so accurately for yourself. Stop second-guessing yourself and confidently make decisions in God’s will. Learn how to step into rapid divine healing from the pain of the dark places. Be who you were made to be… the best mum, sister and daughter you can be. to be above and not beneath. We're here to support you, every step of the way. What Is The “Free Reign” Devotional? The "FREE REIGN" Devotional PROPELS you to rise up as a Warrior Woman of God. Devotionals are simply a structured way to get positioned for what God wants to do in your life. Therefore, a devotional helps puts you in that space to make these kinds of intentional positive decisions – leading to the life of your dreams. How do I make the best of my devotional? Devotionals are about growing in faith and strengthening your intimacy with God. To do this, first, make your devotions a habit. Do your devotional reading at a consistent time and if possible, in the same place every day for at least 21 days. Thsi is how good habits are formed. While devotional time is a spiritual discipline, it is primarily about relationship, getting to know yourself and God. Ask the Holy Spirit to fill you with desire to spend time with God, and be disciplined to make this time a priority every day. Why do I have a charge from CLKBANK*COM? When you purchase Free Reign, your credit card or bank statement will show a charge by Clickbank or CLKBANK*COM, as the payment processor of our products. ClickBank (CLKBANK*COM) is an online retailer of products such as ebooks, memberships, and software. ClickBank's role as retailer does not constitute an endorsement, approval or review of these products or any claim, statement or opinion used in promotion of these products. Email hello@getfreereign.com or use the contact form below to get in touch. We'll be happy to support you on your journey and answer any questions you may have. Position yourself for the love, grace and prosperity of God. As you embrace your identity, you’ll seize back what the locust has eaten and enjoy a harvest like you’ve never seen before. Imagine… attracting praise from your partner, boss and children as you embody your divine nature. Imagine… breaking free from the worry of financial constraints, because you’re attracting the providence of God. Imagine… being a powerful, respected woman without having to be “one of the boys” or compromising your grace and beauty. All this can be yours when you walk in God’s plan and calling for your life. Step into your royal identity! Emotional problems require emotional solutions – that’s why pat answers of “just pray”, “read your bible” and “have faith” are really not enough. We don’t all have the privilege of intimate, accountable relationships at all stages of our lives. Maybe you’re just not ready to reveal the challenges of your inner world because people might start to look and interact with you in a different way. Maybe you just need someone to talk to… To be strengthened and encouraged, to gain perspective, to glean wisdom. Mapping out your journey, your history – and your part in His story. Stop living a double life. You will raise your hands and worship God on Sunday and walk in His power on Monday, Tuesday, and every day. When you feel the impulses of your calling, you can step into it fully, silencing the demonic voices that shout “you’re useless” and listening to the Holy Spirit, you divine counselor. God’s word is full of rich, amazing, powerful promises for your life. No longer wasted on thorny ground, your heart will be fertile, bearing fruit and a plentiful harvest in Christ. Communications Communications Please check this box to agree to receive emails.